Match ends, FC Schalke 04 1, Borussia Dortmund 2. Second Half ends, FC Schalke 04 1, Borussia Dortmund 2. Attempt missed. Salif Sané (FC Schalke 04) header from the centre of the box misses to the right. Assisted by Yevhen Konoplyanka with a cross following a corner. Corner, FC Schalke 04. Conceded by Lukasz Piszczek. Sebastian Rudy (FC Schalke 04) is shown the yellow card for a bad foul. Substitution, Borussia Dortmund. Christian Pulisic replaces Jadon Sancho because of an injury. Raphael Guerreiro (Borussia Dortmund) hits the left post with a right footed shot from the centre of the box. Attempt saved. Marco Reus (Borussia Dortmund) right footed shot from the left side of the box is saved in the centre of the goal. Assisted by Mario Götze. Substitution, FC Schalke 04. Yevhen Konoplyanka replaces Bastian Oczipka. Goal! 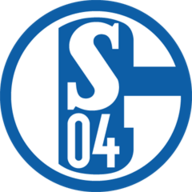 FC Schalke 04 1, Borussia Dortmund 2. Jadon Sancho (Borussia Dortmund) right footed shot from the left side of the box to the bottom right corner. Assisted by Raphael Guerreiro. Foul by Hamza Mendyl (FC Schalke 04). Achraf Hakimi (Borussia Dortmund) is shown the yellow card. Abdou Diallo (Borussia Dortmund) wins a free kick in the defensive half. Goal! FC Schalke 04 1, Borussia Dortmund 1. Daniel Caligiuri (FC Schalke 04) converts the penalty with a right footed shot to the bottom right corner. Matija Nastasic (FC Schalke 04) is shown the yellow card. Penalty FC Schalke 04. Amine Harit draws a foul in the penalty area. Penalty conceded by Marco Reus (Borussia Dortmund) after a foul in the penalty area. Attempt saved. Suat Serdar (FC Schalke 04) right footed shot from outside the box is saved in the top right corner. Assisted by Alessandro Schöpf. Corner, Borussia Dortmund. Conceded by Nabil Bentaleb. Hand ball by Paco Alcácer (Borussia Dortmund). Offside, Borussia Dortmund. Paco Alcácer tries a through ball, but Marco Reus is caught offside. Second Half begins FC Schalke 04 0, Borussia Dortmund 1. 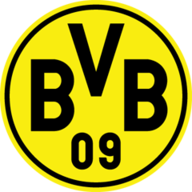 First Half ends, FC Schalke 04 0, Borussia Dortmund 1. Corner, FC Schalke 04. Conceded by Axel Witsel. Substitution, FC Schalke 04. Hamza Mendyl replaces Guido Burgstaller because of an injury. Attempt missed. Marco Reus (Borussia Dortmund) right footed shot from outside the box misses to the left. Assisted by Paco Alcácer. Attempt saved. Guido Burgstaller (FC Schalke 04) right footed shot from very close range is saved in the bottom right corner. Assisted by Matija Nastasic. Attempt blocked. Matija Nastasic (FC Schalke 04) header from the centre of the box is blocked. Assisted by Bastian Oczipka with a cross. Attempt missed. Paco Alcácer (Borussia Dortmund) right footed shot from outside the box is close, but misses to the right. Assisted by Marco Reus. Attempt blocked. Jacob Bruun Larsen (Borussia Dortmund) right footed shot from outside the box is blocked. Attempt blocked. Jadon Sancho (Borussia Dortmund) left footed shot from the centre of the box is blocked. Assisted by Marco Reus. Offside, FC Schalke 04. Ralf Fährmann tries a through ball, but Guido Burgstaller is caught offside. Attempt missed. Daniel Caligiuri (FC Schalke 04) left footed shot from outside the box is high and wide to the left. Assisted by Alessandro Schöpf. Goal! FC Schalke 04 0, Borussia Dortmund 1. Thomas Delaney (Borussia Dortmund) header from the centre of the box to the bottom left corner. Assisted by Marco Reus with a cross following a set piece situation. Attempt missed. Achraf Hakimi (Borussia Dortmund) left footed shot from the left side of the box is too high.